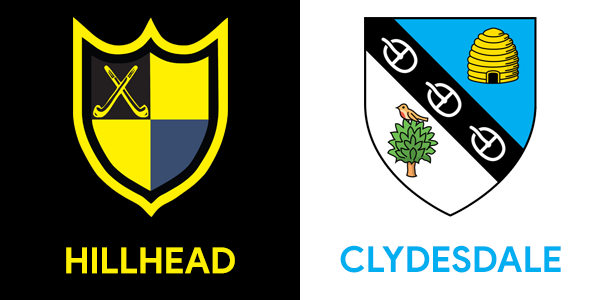 The 1st XI get the 2018/2019 National 1 season underway on Saturday against Clydesdale at 3pm at Old Anniesland. This fixture has provided some brilliant matches in recent seasons with goals and drama galore. Clydesdale edged a close encounter at the Generations Cup 1-0 during pre-season, a tournament that Hillhead went on to win overall. While each side recorded a victory over the other last term, both struggled for consistency over the 18 game season and ultimately will have been disappointed with their final league positions. Saturday’s game offers both a great chance to record 3 points and start the season with a bang. Hillhead will look to familiar faces to bring home the victory, and after a strong preseason the squad is raring to go. The 2nd XI travel to Tipperlinn to face off against Watsonians 2s. Both sides stuttered to a draw last weekend in their opening fixtures of Regional League 1. Captains Campbell/McGucken will be looking to get their title defence back on track and will be able to draw on the talent and experience of the Hilton trio. The 2s saw of Glasgow University 2s in style midweek in a friendly – keeping a clean sheet and scoring 3 goals so confidence is high here. The 3s start their campaign in the newly reshuffled West District 1A against Rottenrow at Old Anniesland. The match starts at 4.30pm following the 1s match so stick around and cheer on Jonny Duke and his team. The 3s won 6-0 last weekend and will look to Andy Maclaine’s experience in midfield to keep that same structure and ruthlessness infront of goal. An all Hillhead affair to kick off the season – new 5th XI captain Findlay Currie will surely be hoping to start with a win against Gordon Macintyre-Kemp’s highly experienced 4th XI. The match starts at 2pm on the sand base at Old Anniesland and should be an exciting way to start the day! Young goalkeeper Patrick Wallace will be looking to keep a clean sheet and deny Jamie Gillies and the rest in front of goal. Lewis Campbell’s 6th XI face a tough test against Western 4s on Saturday in the early push back. The match starts at 12pm on the sand at Old Anniesland. It’s always nice to get an early season win over a city rival and would make an ideal start for the 6s.